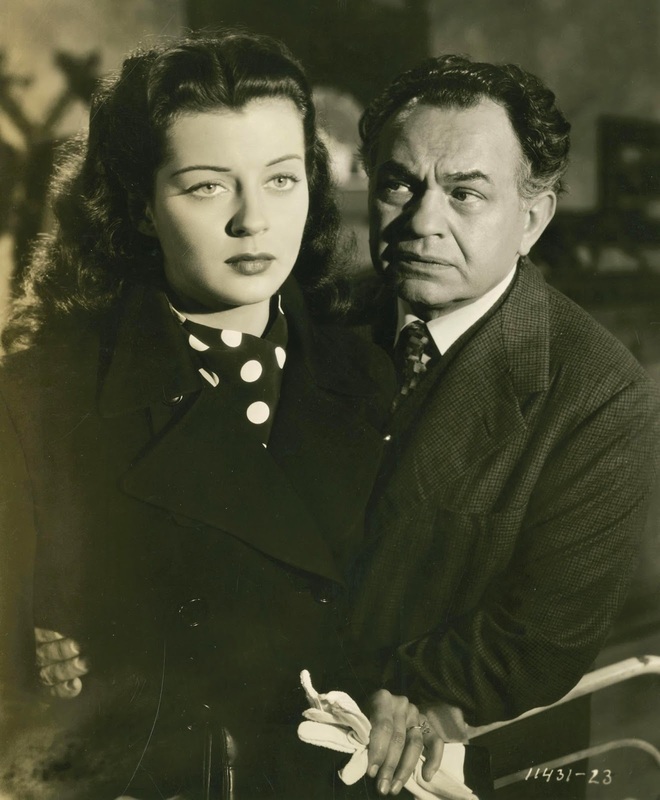 Actually less a noir than variation on The Uninvited, involving more that is supernatural, and effect it has on frightened doe that is Gail Russell, an actress gifted for show of vulnerability, onscreen and off. Was this instinct, talent, or just who she was? Latter would seem likeliest, sad circumstance of Russell's life a best argument that some folks should never be film stars. She would cope with malevolent spirits on one hand, Para predators on the other. Those schoolmates did Gail no favor by recommending her to studio scouts. The Night Has A Thousand Eyes is Gail Russell sum-up and added log on fire that was romance of Paramount noir. 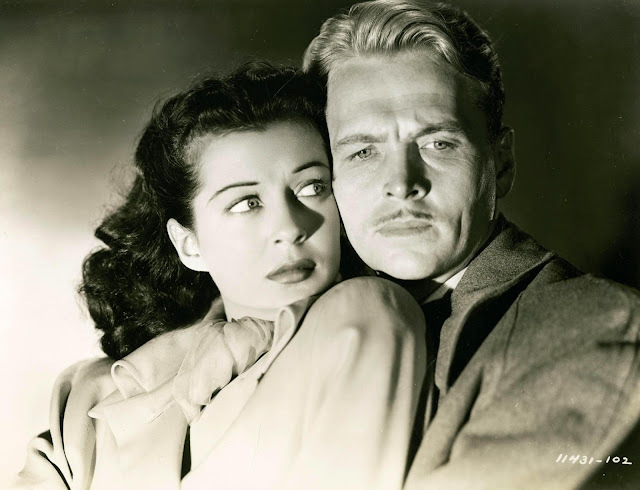 Between their own and ones independent Hal Wallis did for company release, Para owned whole of lush avenue that forked off doom-gloom we associate with noir out of RKO, Universal, even MGM on most of occasions. Consider that at Paramount, most of good, or at least well-intentioned people, got to live. Downer finish was rare to noir from this address. 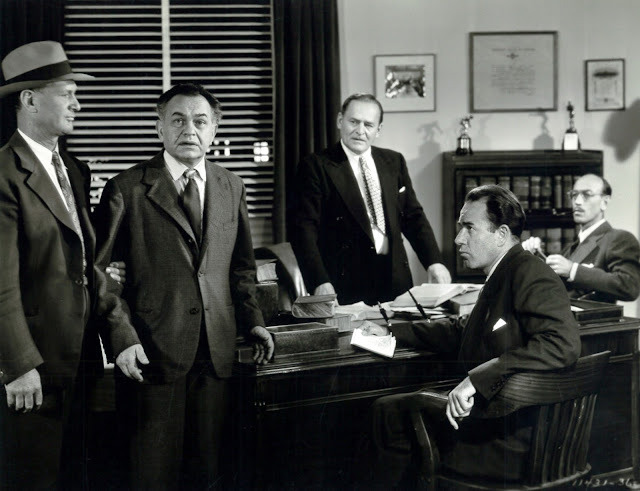 Billy Wilder's approach was not common to others who neighbored him on Para stages. Where he'd kill off miscreants of Double Indemnity (they were in on murder, and so under Code authority, had to die or face confinement), a director like John Farrow ended on hope (Thousand Eyes' romantic couple will survive and ultimately thrive) or even laugh coda Elsa Lanchester supplies The Big Clock after villainy is dealt out. Most of Para-noir is spread with Victor Young scoring, him a most melodic and standard-bearing of composers. 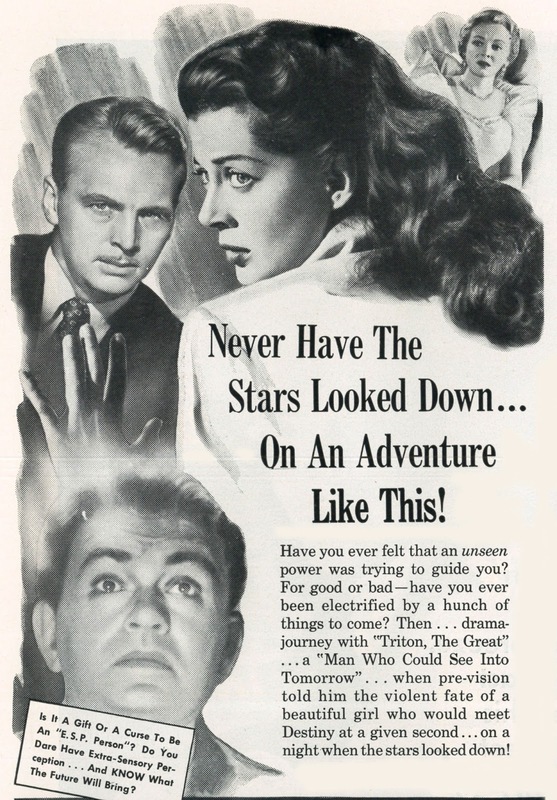 "Stella By Starlight" is night music from Paramount as much as "Laura" for 20th. Young is a major reason I like The Big Clock, I Walk Alone, Appointment With Danger, and this one. Is it time to anoint him as truest auteur behind best of noir at Paramount? But that would exclude John Farrow, who rates hurrahs he still doesn't get from noir congregation. Is it because the films have been largely out of circulation? I speak of The Night Has A Thousand Eyes today for having finally got a DVD --- not a boot as customary for pre-49 Paras, but a Region Two just out from Germany. Maybe it was mood of the moment, but this thing really grabbed me, and what Farrow did with scene after scene, rife with his signature long takes and roving camera, was just a knockout. 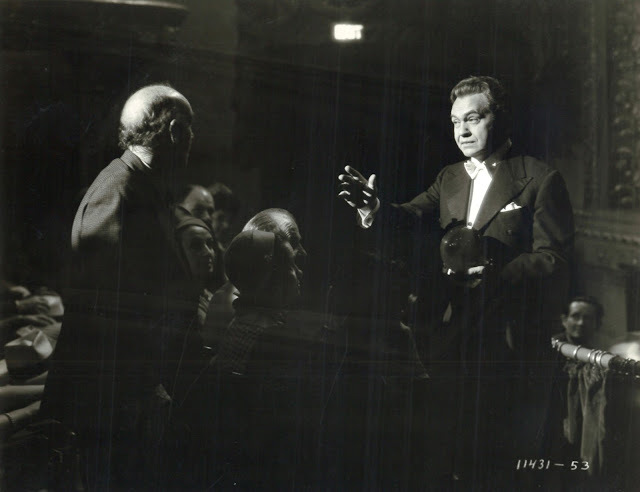 I'm all for Orson Welles, Max Ophuls, and others who used such technique, but none did them better than Farrow, who according to accounts, rehearsed cast/crew to pinpoint readiness, then shot reams of action and dialogue in continuous take ("six or seven pages," according to studio press), and not just once in The Night Has A Thousand Eyes, but frequent all through. Film faculty could assign all of Farrow Paramounts to classes (plus Where Danger Lives, His Kind Of Woman, 50's others), and give the rest of noirs a rest. debunk of the phenomenon. Source yarn was from Cornell Woolrich, and as with all his, grabs from the opening, suspense keyed to end of 81 minutes, commendably brief where too many studio releases ran overlong in the 40's. Another plus for The Night Has A Thousand Eyes is Bunker Hill setting for part of action. No backdrop fitted noir so well. That benighted section seems built for stories told there, ones to come including The Turning Point, Cry Danger!, Kiss Me Deadly, numerous others. Bunker Hill was landscape Los Angeles seemingly maintained to accommodate noir filmmakers. Studios should have bought the shabby ruins just to host thrillers more convincing for being shot there. What a shame this noir neighborhood got bulldozed. HERE is the Amazon Germany link for The Night Has A Thousand Eyes on DVD. Great, mouth watering review. How about posting a link to where films like this can be got in your reviews? That will save me having to hunt them down as I am now about to do with this one. A very good suggestion, Reg. I've just added a link to the post and will do that from now on when recommending Region Two discs. Thanks. Your writeup left me eager to see the film. Thankfully there are other Regions besides Region 1 which, altho they have a smaller market, seem to be bolder in their offerings. Anyone else have that Gene Pitney song running through their head? It wasn't Gene Pitney, but Bobby Vee who recorded an unrelated song of the same title as this film.